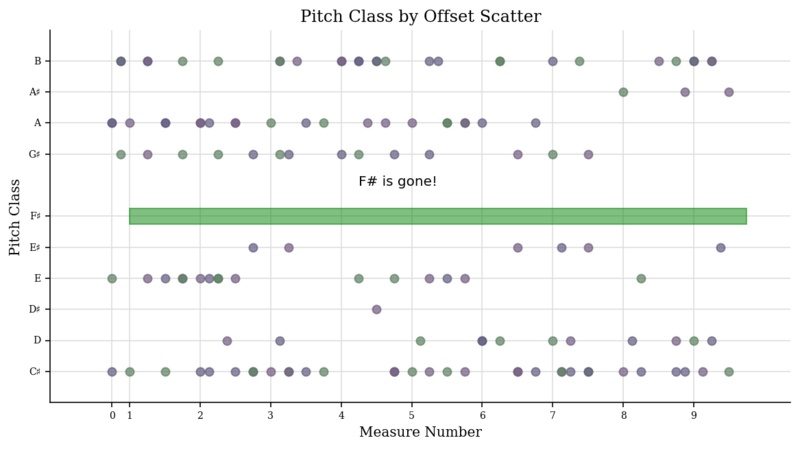 When we call s.plot() we are actually just calling a function in music21.graph called plotStream(). Well, so far we haven’t done much that we couldn’t do with .plot(), but we can change some things around. Different graph types have other configurable data. For instance, Histograms can configure their barSpace and margin. 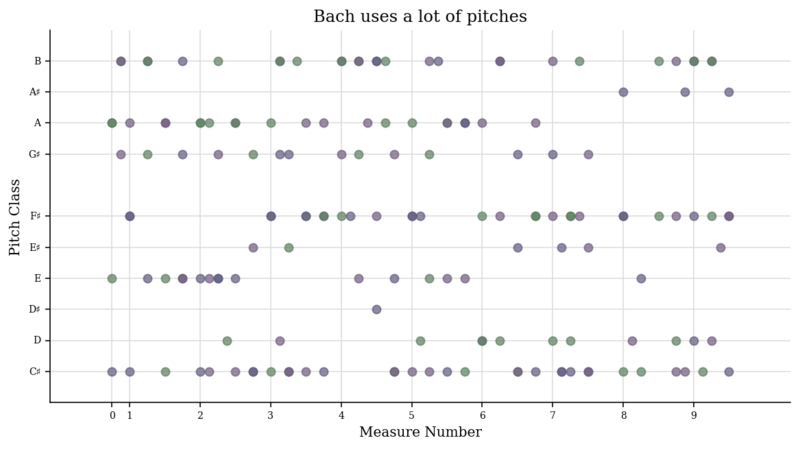 See the documentation for music21.graph.plot and music21.graph.primitives for more information. Do you see that the first point has moved from C# to D#? Very nice. .run() the first time, to process the stream and get the data. .process() when the data has been changed and the figure needs to be regenerated from data. .write() when the figure has been created once, annotated, and needs to be seen again. If you want to do the whole process without showing the figures in the meantime, then set .doneAction = None before calling run the first time. 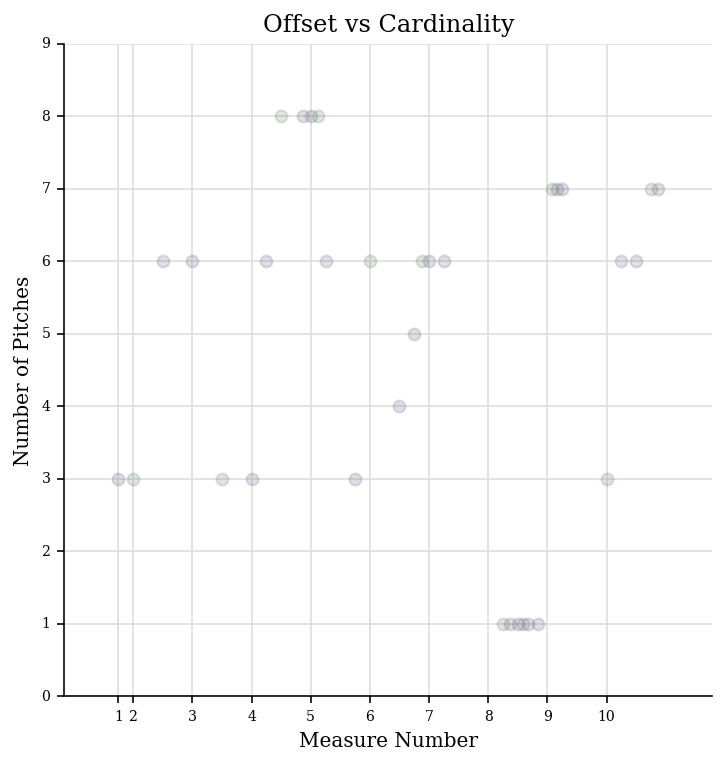 When calling Stream.plot() or plotStream(stream) or using getPlotsToMake() we’ve been passing in two different types of arguments, the first is the type of Graph primitive to make and the second and subsequent are the quantities to put on the X and Y axes. Each quantity has an Axis object that generates it. 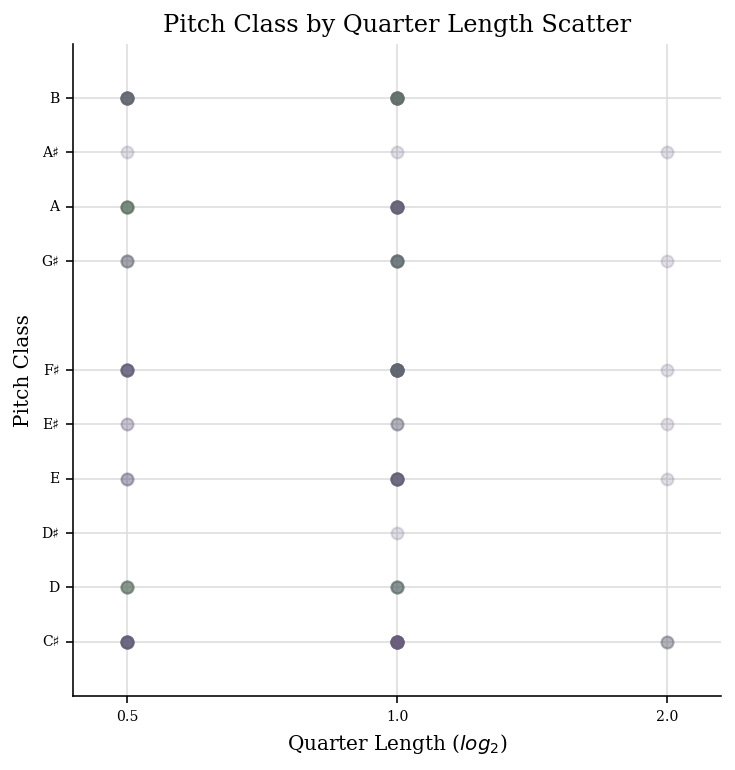 Let’s look more closely at a simple set of axes, the PitchClassAxis and the QuarterLengthAxis. The others are similar. Show where “ticks”, that is, the axis value labels and grid lines will be. If the element is something that the axis cannot handle (say a Rest) feel free to return None or just don’t set a return value. Here we can rely on the default values for the setBoundariesFromData() and ticks() methods since they will get the minimum and maximum value from the data and give numeric ticks which seems fine to me. Let’s try this on a Schoenberg piece with a lot of chords. Notice that in instantiating an axis, we pass in the plot name and the axis label. Both are important. We will set up our Scatter plot so that it gets rests also, reset the axis minimum to None (so it learns from the data) and we’ll be set to run. Ideally, we’d set a slightly different minValue in .setBoundariesFromData so that the bottom of the rest dots wasn’t cut off, etc. but this is pretty good to start. 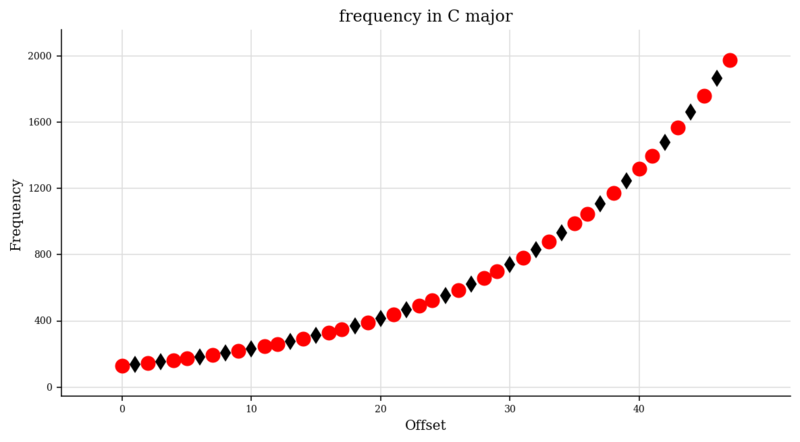 After all the data has been extracted, each axis gets a chance to manipulate all the data however it sees fit in the .postProcessData method; the only axis that currently manipulates data is the CountingAxis in its postProcessData() routine, which consolidates duplicate entries and gets a count of them. But for the most part, setting .ticks and .extractOneElement will be enough to make a great new axis. ‘alpha’ sets transparency, from 0 (transparent) to 1 (opaque). Here is a way of plotting the life and death dates of composers. We will put both Schumanns on the same line to show how that can be done. Each box has a starting point (birth date) and length. For the length we needed to calculate lengths of lives for each composer, and I didn’t have that information, so I just subtracted the death year from the birth year. Because we are creating graphs on our own, we will need to define our own tick values. /Library/Frameworks/Python.framework/Versions/3.7/lib/python3.7/site-packages/matplotlib/cbook/deprecation.py:107: MatplotlibDeprecationWarning: Adding an axes using the same arguments as a previous axes currently reuses the earlier instance. In a future version, a new instance will always be created and returned. Meanwhile, this warning can be suppressed, and the future behavior ensured, by passing a unique label to each axes instance. Well, that’s enough for getting down to details. 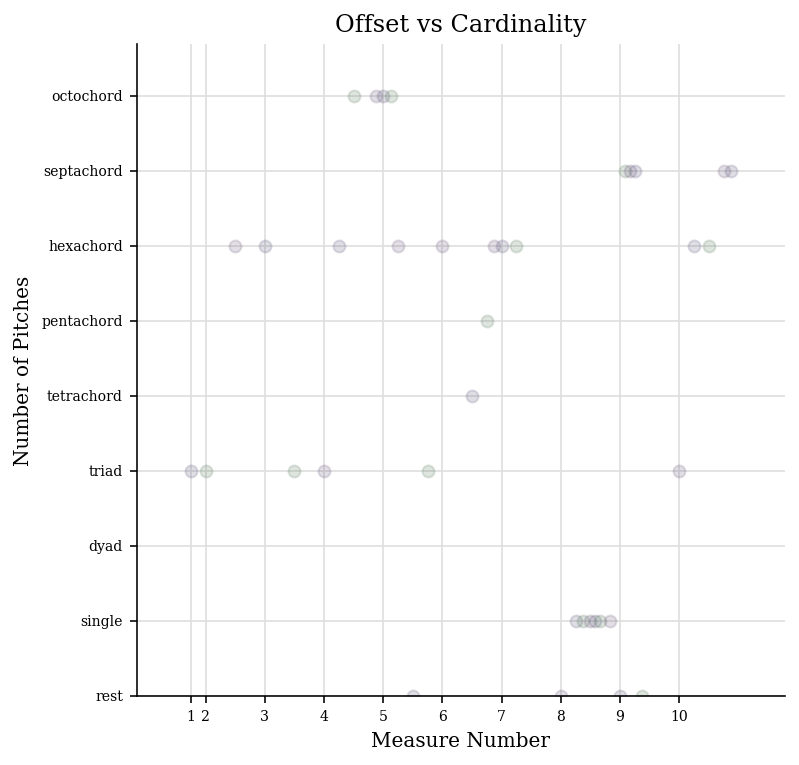 If it’s all a bit of a blur, remember that calling .plot() with a few parameters on any stream will usually be enough to be able to visualize a score in interesting ways. 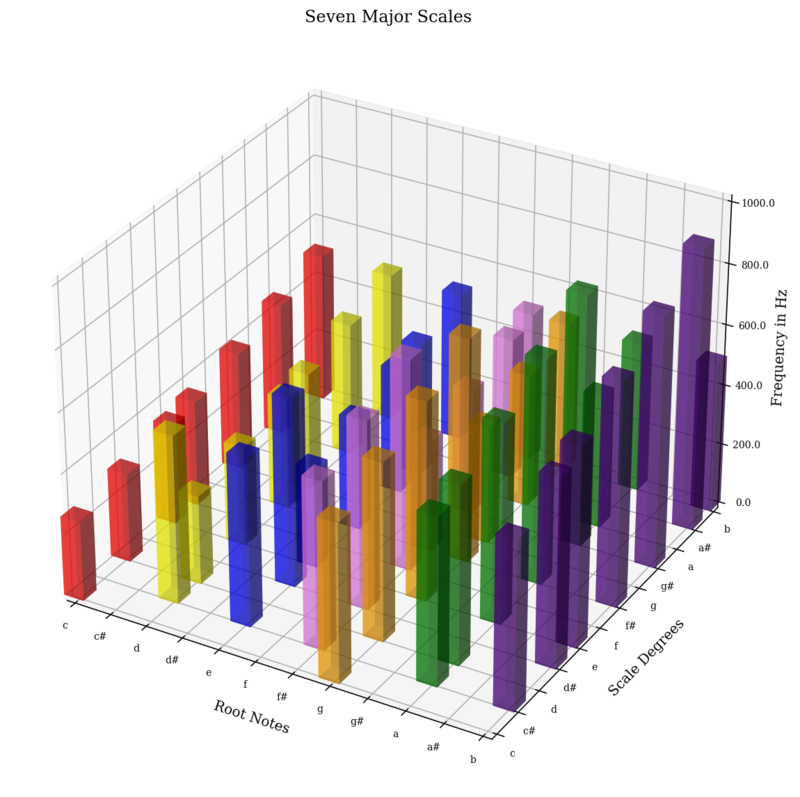 Most people will graph music21 data using matplotlib’s default system for rendering and displaying images (called the backend). That default system is the TkAgg backend or the backend for Jupyter/IPython. But for embedding music21 in other graphical user interfaces you may want to choose another backend. For instance if you wanted to use music21 in a Qt application, or Kivy, or a web application, you would probably need a different backend. See the following discussion at What is a backend? for more information.